As a film geek, the Academy Awards are a very special night. It's a time when people come together to recognize and applaud my favorite thing-- movies. It highlights and honors the films of the year, and is an event I always look forward to. So I am always curious as to who they get to host the event. The Oscars can become tiresome, so it's good to have a fun and dynamic personality hosting, in order to lighten the atmosphere. I also prefer the person to be actively involved in the medium of film. Sometimes they go out and get people (Neil Patrick Harris, Ellen DeGeneres) who don't really have much to do with movies, and that bugs me. With all of this in mind, I was eager to find out who would be hosting the Oscars this year, and now we know. He's really funny, but the problem is that it feels like a clip from his stand-up, not the Oscars. He goes off topic, talking about George W. Bush and other political issues. It's distracting, but Rock will hopefully adjust and fix that issue going into the Academy Awards this year. I think he has the potential to be really funny and entertaining. He has a very unique sense of humor, but he is often very explicit and offensive. He will have to censor himself for the nature of the Oscars, which may gut him of his style of comedy, but he seemed to do fine with it in 2005. I have confidence he will do well and I look forward to seeing what he does with the show in 2016. What do you think? 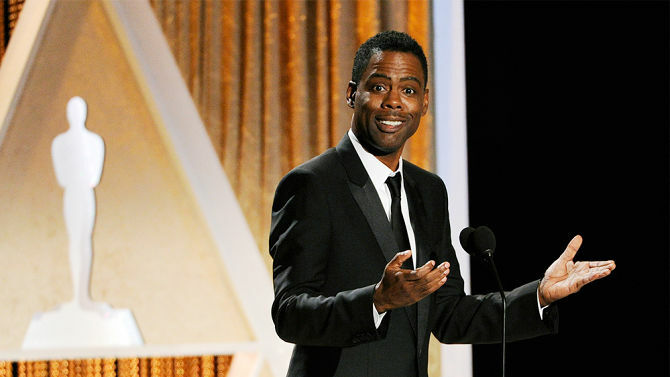 Is Chris Rock a good fit for the Academy Awards? What did you think of his hosting back in 2005? Are you happy he is returning? Leave your thoughts in the comments section below.